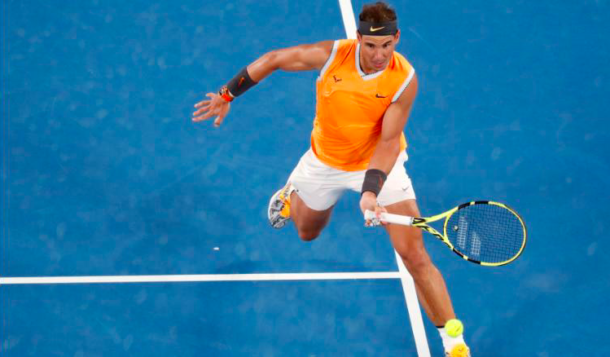 Rafael Nadal has punched his ticket to the finals at the Australian Open. 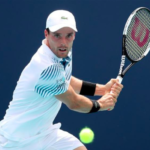 The 32-year-old Spanish tennis star made quick work of 20-year-old Stefanos Tsitsipas in Thursday’s semifinal, cruising to a 6-2, 6-4, 6-0 to earn his fifth trip to the finals in Melbourne. Nadal hit 28 winners and never faced a break point until the final game in dispatching the Greek phenom in one hour, 46 minutes on a sweltering night. “It was a great match, and it’s been a great tournament,” said Nadal, who won the Australian Open in 2009. Nadal pounced on Tsitipas from the jump, breaking him twice in the opener. The Spaniard served notice early that Tsitsipas, who ousted Roger Federerfrom the tournament, wasn’t going to repeat that feat. Nadal awaits Friday’s other semifinal between world No. 1 Novak Djokovic and first-time Grand Slam semifinalist Lucas Pouilleto find out who his opponent will be on Sunday.